The Caribbean – Consulting, Culture, Cuisine, & Citizenship will be held in Jamaica, December 2018. This 3-credit experiential learning course is a great option for students in business, entrepreneurship, history, music and hospitality, but all will benefit and enjoy it, and are welcome to participate. This one week Intensive Course Abroad (ICA) will be an immersion into the various commercial and cultural environments of a beautiful, independent, small sovereign nation, with a long, rich heritage of influences from Spanish and English rule, and whose main industries include sugar, rum, coffee, bauxite, fishing, and tourism. Reggae, as Jamaica’s unique musical genre, and an industry as well, evolved after its independence in 1962, and has influenced worldwide culture and other music genres since. Students will learn about the history of the country, understand its business and political environments, visit important sites (including main industry and small business sites, landscapes, plantations, buildings, etc. ), and experience much of its cuisine and music as well. Time will be spent in guided tours, and first hand experiences, and include listening to the music of reggae, and engaging in lessons and conversations with the instructor(s) and peers surrounding the topics presented. Students will also participate in a service project involving the education system in Jamaica - the future of any community hinges in part on its citizens and their education for future prosperity; connecting with, understanding and supporting the youth in Jamaica will contribute to the long term economic vision. Finally, time will be spent in conversations with small business owners about issues, opportunities and strategies in their business (that students will prepare for through research and a real world case study and mini-consulting project). Students will be registered for HRM T380 (The Caribbean – Consulting, Culture, Cuisine and Citizenship) for 3 credits as a part of their winter term course load. Students must leave space for this 3 credits in their winter term credit load or will have to pay for exceeding the 20 credit maximum. The 3 credit for this program are not optional. A syllabus for the course will be provided. Pre-requisites: There are no pre-requisites for this course. All majors and all levels of students are welcome to apply. 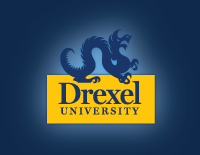 Instructor: This program will be led by Dana D'Angelo (danad@drexel.edu), Clinical Professor in LeBow College of Business. All program activities, entrance fees, guided tours, speakers, tips, etc. US Citizens are not required to obtain a visa for Jamaica. Other nationalities should confirm on the Jamaica Embassy website. NOTE: Students may extend their travel independently before or after the official program dates.